Need to travel for work or business? Read five tips to help make work trips easier for the whole family. 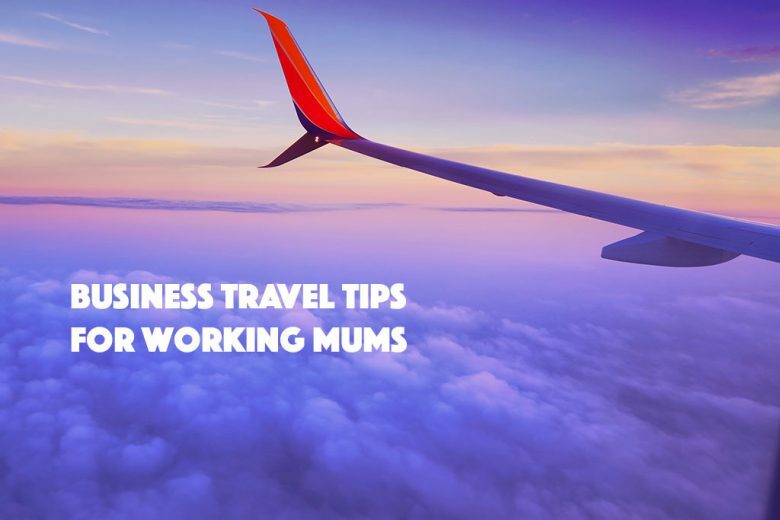 Between balancing work with the many individual needs of children (and still finding some alone time on top of all that), being a working mother can already be a difficult job, without adding travel to the mix. But sometimes, traveling for work is unavoidable. For some mothers, work trips will be only occasional. But for others it can be a regular part of your job. Whatever the case, with some careful planning, travel can be integrated into your schedule successfully for the whole family. If you have a work or business trip planned, here are five tips that can help to make it smoother for everyone. Keep two versions of the plan: one that is child-friendly and one that is sitter-friendly. For your kids, develop a calendar that they can count down the days on until your return, along with photos and maps of your destination. Let them know how they can contact you, too. For the sitter, leave a written schedule for each of your children, including bed times, favourite meals and extracurricular activities. List emergency contacts on it as well. Try to keep their routine as normal as possible, emphasising this point to the sitter. Separation anxiety can make travel more painful for everyone, especially younger children. Avoid triggering anxious episodes by having a sweet and concise goodbye. Try not to drag it out, show your own anxiety, or forgo a goodbye altogether. You can also avoid prolonging separation anxiety by keeping your communications on a routine while you’re away. If you can, avoid checking in more than once a day, and don’t be overbearing. Depending on your children’s ages, your absence might be a great time to teach them some home-based skills like cooking, cleaning, and anything else that you think they should know. Don’t try and teach everything all at once, but do so gradually leading up to your travel. Be clear about your expectations of your children while you’re away, too. If you intend to hire a sitter, let your children know that they are expected to help in some ways, and make sure to keep the sitter in the loop as well. With all the various modes of communication nowadays, you can easily conduct a daily check in with your children and the sitter – whether it’s a phone call, by text or FaceTime. You can even take it a step further by enjoying some kind of social activity online. Play interactive games from your smart phone, or install Google Chrome’s Showgoers plugin in order to watch Netflix together. There are plenty of options to stay connected while you’re away. Travel can be exhausting, but try to reserve a little bit of energy for your return. Your children will be thrilled to see you and probably have loads of questions and things they want to show you from your time away. This is also a great opportunity to give them some little souvenirs from where you went, and to tell them all about it. While it may be tempting to get home and immediately indulge in some downtime, your children will appreciate some attention first, so try to save some energy for them before you relax. While you’re out and about traveling, it’s important to not lose sight of the opportunity it presents, either. Travel is a chance for you and your children to get some extra space while building trust in one another, and ease the separation anxiety with each trip. It’s also an opportunity for them to learn how to care for themselves as they get older. Sophia Beirne is a frequent business traveler who shares her experiences and thoughts writing for Stayz, Australia’s #1 holiday rental website.